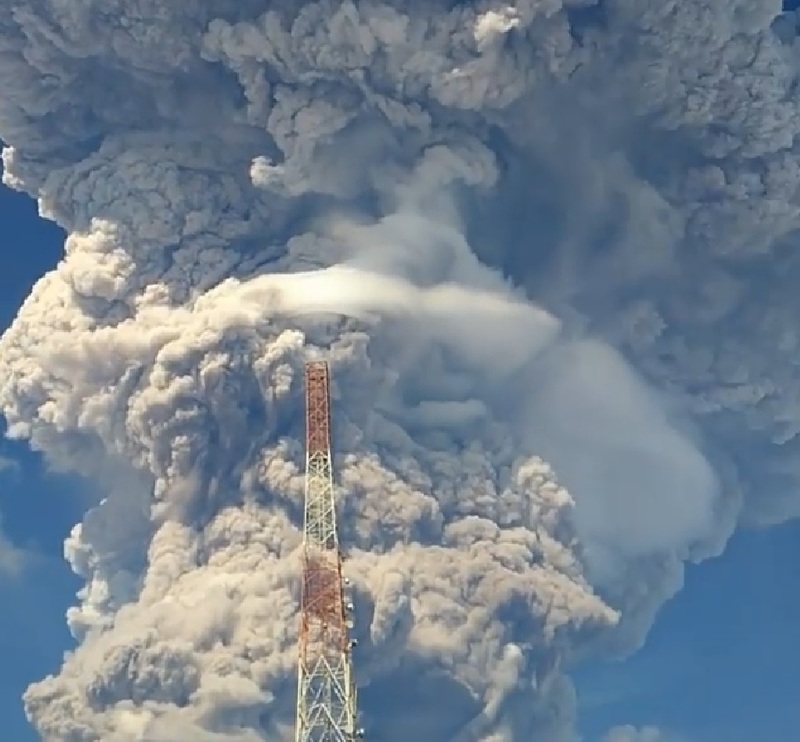 Indonesian colossus Mount Sinabung exploded this morning spewing ash and steam 16,400 feet into the Indonesian sky. The spectacular eruption saw hot grey clouds rolling down the mountain's side. According to The Independent, over 30,000 people have been forced to move away from homes near the mountain's base since the current series of eruptions began eight years ago. The volcano's last spectacular eruption was in January this year. So far, no fatalities or injuries have been reported this time, according to the National Disaster Mitigation Agency spokesman Sutopo Purwo Nugroho. The stratovolcano first erupted in 2010, having previously lain dormant for four centuries, when an explosion killed two people. Sixteen were killed in a 2014 blast and seven more in 2016. The Indonesian colossus Mount Sinabung is one of two volatile volcanoes in the country with tourist island Bali's Mount Agung also very active.